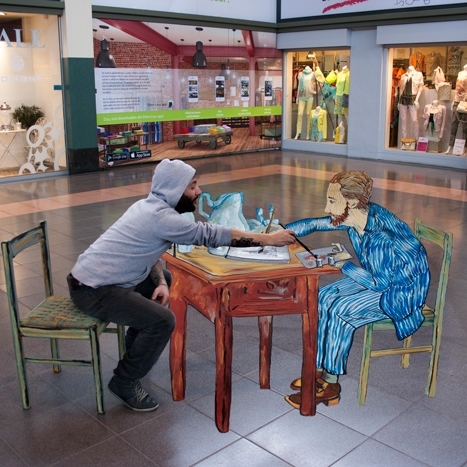 Cuoliquido is a versatile artist and professional 3D street painter. 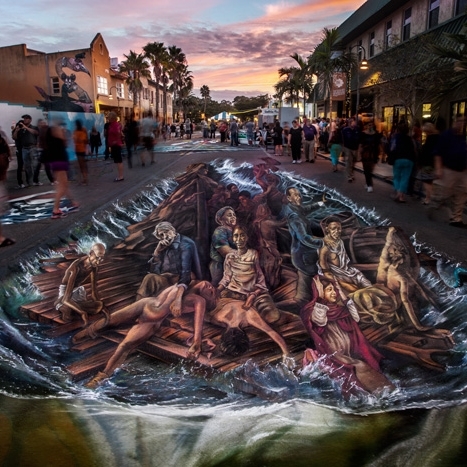 Since 1992 lives thanks of his Art Works and from 1994 he began to experience his passion for the Street Art, first with the Graffiti Art and later also with the traditional Italian art of Madonnaro (pavement artist). 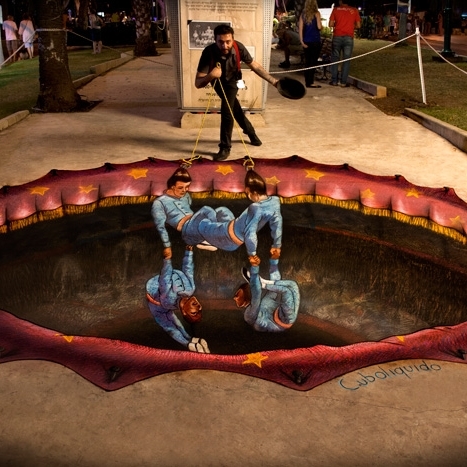 From 2009 he devoted his time most exclusively to the Anamorphic 3D Street Painting, performing at the main festivals in the World and thanks to his skills, collecting several awards. He has produced commissions throughout Europe, the Mediterranean Basin, Russia, United States, Latin America, Thailand, China, Middle East, and South Africa. His works have been commissioned by major advertising agencies and companies including: Disney, Sony, MTV, Universal Cinema, Luxottica, Amazon, Coca-Cola, Google, Samsung, YouTube, HP, Adobe, Cartier, Unilever, Save the Children, Expo Milano 2015, Tiffany&Co, and many more. 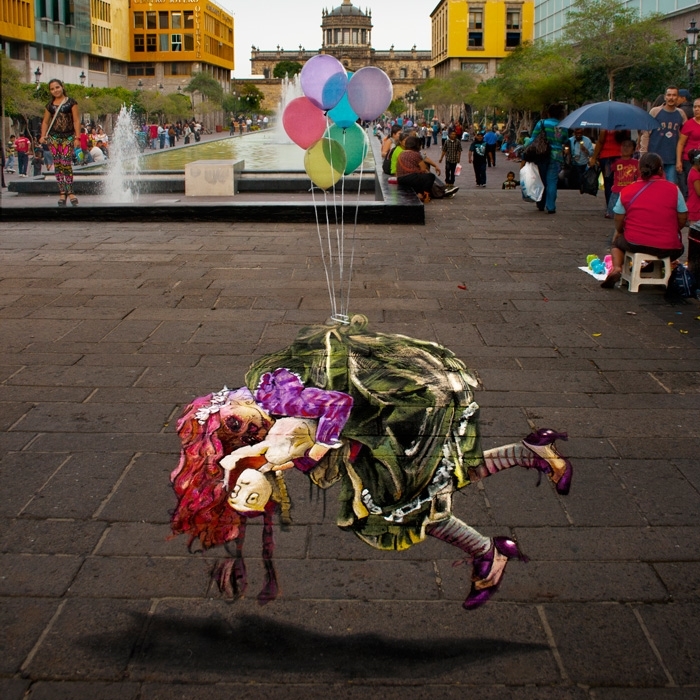 At present, Cuboliquido’s street painting has taken him to more than 200 events of different natures, he was the first artist to combine experimenting with Anamorphic 3d Art and animated video with video-mapping and some of his performances have been shown in three “Biennials of Art” and others “Contemporary Art Exhibitions”, as a “Madonnaro” are stored two of his works in the “Basilica of the Nativity” in Bethlehem and that of the “Virgin of Guadalupe” in Mexico City.